Once you and your children have had some experience with Mac's Abacus Basic or our Activity Set, send us an email at stories. If you have some pictures or video, we would love to see them. Just attach them to your email. If there are other Lesson Sets you or your children would like to see, tell us. We will give them careful consideration and if things work out, we will develop them and send them to you for evaluation. Your feedback may help others with teaching children. We post your stories that are sent to us, thanks. I think Mac's Abacus Basic is most likely to be used as a supplement over a number of years. It teaches basic counting, one-to-one correspondence, recognition of numerals, and numeral writing which are key concepts and skills for young children. It continues from there to teach addition, subtraction, place value, carrying, borrowing, and decimals--concepts that stretch up through fourth and fifth grade. Also, it has a few lessons on measurement and telling time plus many lessons on money. Money receives a lot of attention since it is used to teach decimals. The way Mac's Abacus is used to teach decimals seems particularly ingenious. It builds on strategies used earlier to teach place value, but it uses images of coins (and eventually bills) to teach decimals. Switching to money helps students transition to this new use of the abacus. Mac's Abacus and the Mac's Abacus Basic workbook are truly unique in their approach and design. 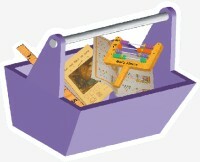 Read Cathy Duffy's full Product Review of Mac's Abacus Basic curriculum on Cathy Duffy's Website. 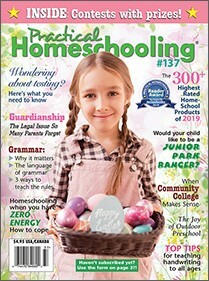 We won an Honorable Mention in the 2019 Practical Homeschooling® Reader Awards,™ in the Elementary Math category, which appears in the Spring 2019 issue (#137) of Practical Homeschooling Magazine®. A big THANK YOU to all our customers who voted for us! 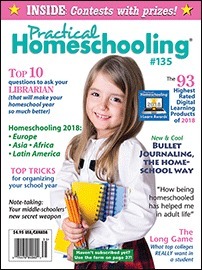 See the latest Product Review of our Mac's Abacus Basic curriculum by Melissa L. Morgan and Mary Pride, in issue #135 (Sept-Oct 2018) of the Practical Homeschooling Magazine®. Pages 43-44. See a Product Review of Mac's Abacus Basic supplementary curriculum in The Old Schoolhouse® Magazine online. Mac's Abacus Basic curriculum is recommended in Bob Claymier's STEM is Elementary Newsletters of June 2017 and June 2018. I got one of these (Mac's Abacus Basic) last year for my 4-year-old niece (no disabilities as far as we know), and she loves it! Big thanks to you, My 5 and 6 year old love it and it's helping them tremendously with their math skills. great tool for anyone to learn with. 1) My son started this when he was 5. My son fell in love with the colorful abacus. He would ask to do math constantly! He took the book on his own and went to town. I did not have to sit down with him to learn, as this is easy enough for him to self teach. This really opened his eyes to the world of numbers and challenged his brain. On the problems that were easier he would just get so excited but even on the challenging ones, he was able to problem solve and think critically to work through it. He finished at age 6 and our only complaint is they do not have any more books. Our second son is now starting this. 2) Kenny is 5. We have been doing a couple pages every week for the last year. He loves playing with his abacus and counting the shapes. It has shown me how he loves order. 3) My 6 year old son really enjoys playing on the abacus, creating patterns. He plays with it constantly all day. Took it home. Was something different we had never seen or tried before and he picked it up very quickly with the images and symbols. He got very excited and my child has never understood math or numbers well. He is currently ten and we’ve been working on this since he was three (He has Autism). Since he is progressing so quickly and well with this, we look forward to learning Money. Pictures of the Mac's Abacus Activity Set station in the children's play area and of frequent patron, Owen, who made all 16 Bead Patterns on Mac's Abacus. Ray Herrmann's "mission in life" is to help kids learn math. Ray is a retired engineer and grandfather who got a brainstorm to use an abacus as a fun way to get the child's attention and learn the basic math as a game. As a life long friend I have followed this projects development over the past 5 years and have been very impressed with his enthusiasm and attention to the many details of both the physical design aspects of the abacus as well as curriculum development. As a former teacher myself, I can highly recommend this fun tool. Using this abacus reminds me of QiGong exercises but for the mind. P.S. I have a Mac's Abacus for my grandson and we love to play together with it. This is a wonderful learning tool for children. It's the perfect size for small hands and the shape of the beads makes the abacus fun and easy to use.